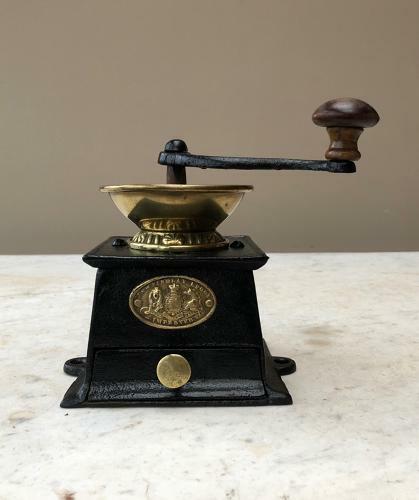 Victorian Cast Iron & Brass Coffee Grinder in Lovely Working Condition. A rarer make "J & W FINDLAY LIVERPOOL" Brass plaque to the front. Measurements are including the handle.